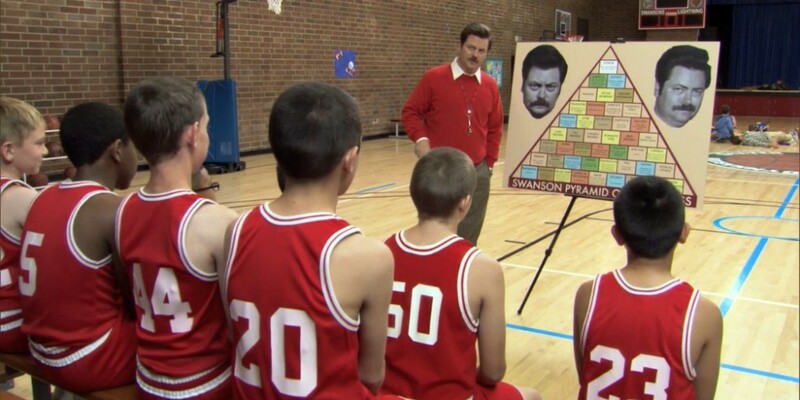 Ron Swanson finally introduces the important things. 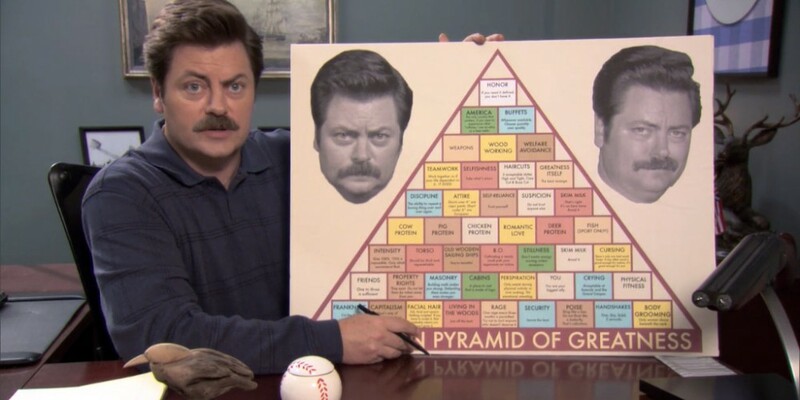 His very own Pyramid of Greatness. 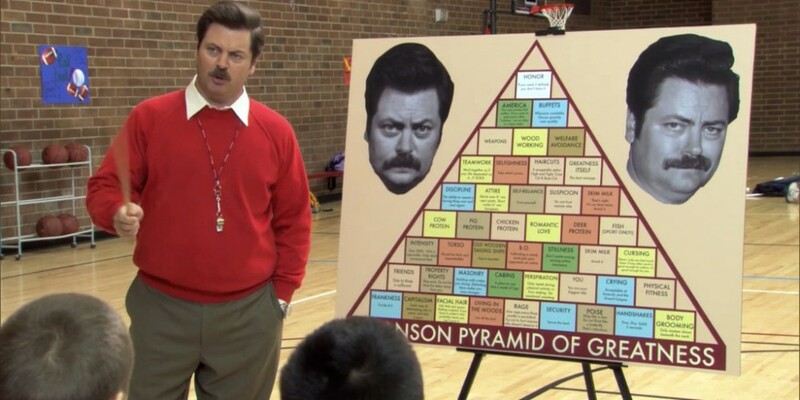 For a more in-depth look, check our Swanson Pyramid of Greatness page. ← Ep. 24: Freddy Spaghetti: Slash It!